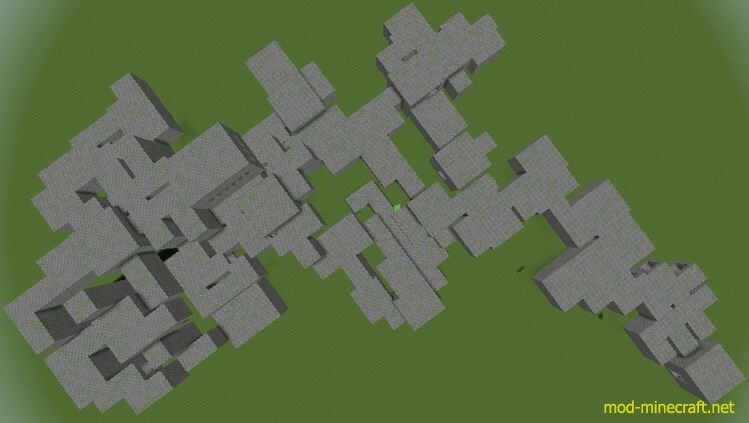 No Derp Strongholds Mod is directly made for whom are annoyed by a stronghold that is cut apart by caves, eliminating that by making them always overwrite blocks; the default behavior is to only overwrite non-air blocks when the walls generate, resulting in no walls where they intersect caves. This is even more true for Superflat worlds with floating strongholds, which will result in a bunch of random disjointed pieces floating around. In addition, I removed code that checks for the presence of liquid where a piece will go, which otherwise prevents it from being generated, resulting in strongholds under oceans often missing pieces, particularly when the portal room is disconnected from the rest iof the stronghold (portal rooms already don’t have this check, so strongholds added to the “Water World” Superflat preset will only contain a portal room, but with this mod will fully generate). Note that misalignment can still result in cut-off sections, including portal rooms (often just a wall separates them) and corridors end without being closed off, but everything that can be generated will generate intact.